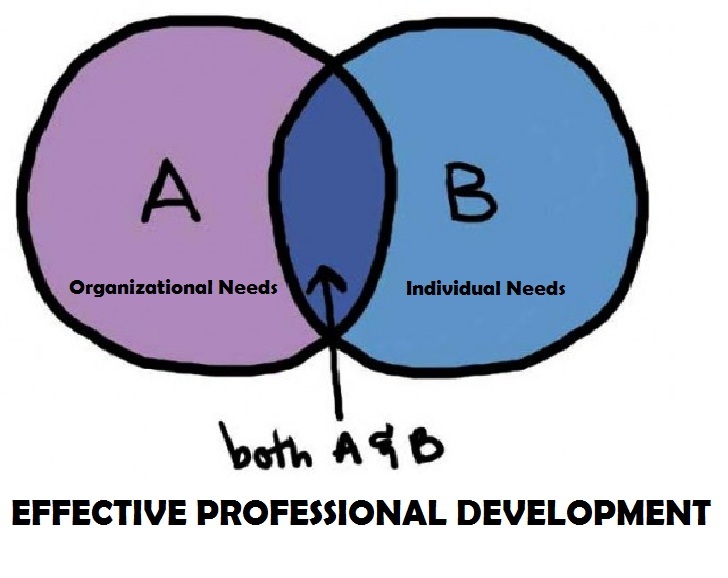 A Principal's Reflections: What Constitutes Good PD? "embedded in the school day" is so important! But, we are now faced with excellent teachers being removed from their classes...is the risk worth the reward? Jarrett - At my school we do not remove teachers from their classes to make our embedded PD model work. What we have done is reduce their non-instructional duties (hall, cafeteria, in-school suspension, etc.) to give them the time to learn during the school day. Robert - Thank you for sharing that link and adding to the discussion. I am going to embed it directly into the post. Getting students to this point is our ultimate goal once teachers become comfortable with it. Your idea of continuous PD resonates with me, my practice and in my desire to support the learning of others. Thank you so much. Thank you for writing this timely and important post. With all the mandates, policies and expectations permeating our learning organizations, we cannot neglect our primary goal- doing what is best for our children. In order to accomplish this goal, we must provide our community of educators with relevant, timely, current and sustainable PD experiences. In doing some preliminary research for my dissertation related to principal PD one of the common features that in effective PD experiences is a group/cohort feature which encourages people to collaborate and feel supported when they apply new understandings within their context. This group/cohort piece is critical to sound PD and thus I'm happy to see you included the ideas of PLCs and PLNs. Thank you! You are so right; the needs of the learner must be considered during professional development planning. Often your veteran teachers’ needs are quite different from the needs of the new teacher. In addition, I have found that the teachers who are really dedicated will find professional development opportunities that will meet their needs on their own.